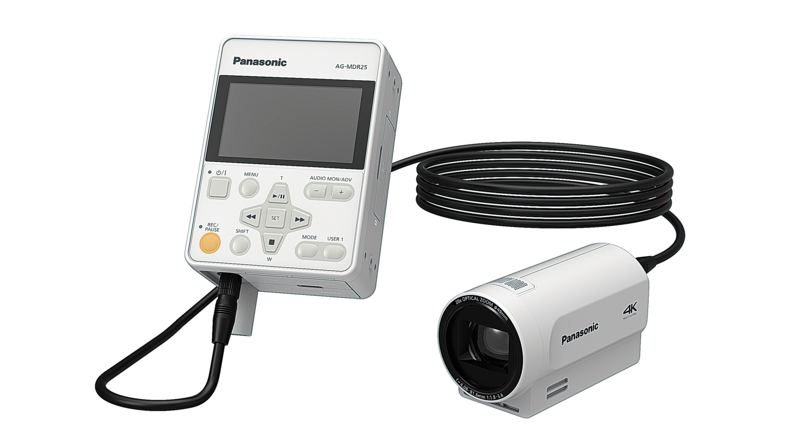 Panasonic has launched a new medical portable recording camera system, capturing high-definition 4K images as well as adding network capability for IP control and IP streaming. The new POVCAM system includes a AG-MDR25 compact portable recorder and the AG-MDC20GJ 4K camera head, facilitating high-definition 4K image acquisition and advanced IP control and IP streaming. The new AG-MDR25/ AG-MDC20GJ system replaces the previous Full HD AG-MDR15/AG-MDC10 and is designed for various applications in the medical environment such as medical training and surgical documentation. The AG-MDR25 recorder features double SD memory card slots (SDXC), advanced high-quality compression and 4K/UHD image acquisition* in a compact, portable unit. The AG-MDR25 boasts improved recorder operation with a touch-panel monitor and large buttons that are covered by a membrane sheet for easy disinfection. A 3.5-inch colour LCD monitor displays content in thumbnail images for quick viewing that can be reversely displayed. The ultra-compact AG-MDC20GJ camera head is equipped with a wide-angle 20x optical zoom lens that covers a range from 29.5 mm wide-angle to 612 mm close-ups (35mm equivalent). A 16-axis independent colour correction function allows precise colour adjustment and an optical ND filter, which can be manually switched (CLEAR, 1/4, 1/16, 1/64). Additionally, the AG-MDC20GJ is equipped with a 5-axis hybrid image stabiliser. Further refinements for the surgical and medical environment include a new surgical light mode and compliance with medical standards. IP control and IP streaming is possible with the new recorder via LAN terminal, offering video and audio streaming distribution over a local area network as well as access from PCs and tablets via web browser. 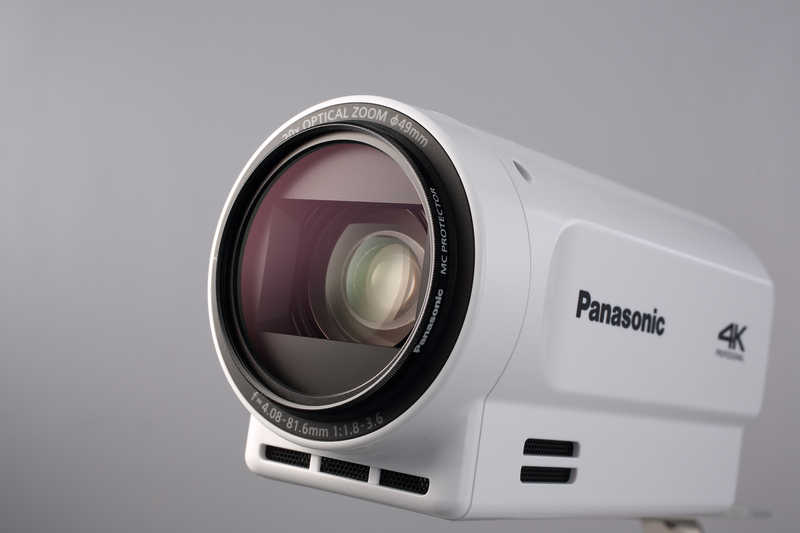 The camera can also link up to a Panasonic remote camera system IP controller for more versatile operation. Connectivity is also improved with a new HDMI output. The AG-MDR25/ AG-MDC20GJ, which can be connected via optional cables in 3-metre and 20-metre lengths, will be available in June 2017.